Cozy layering is always a thing. 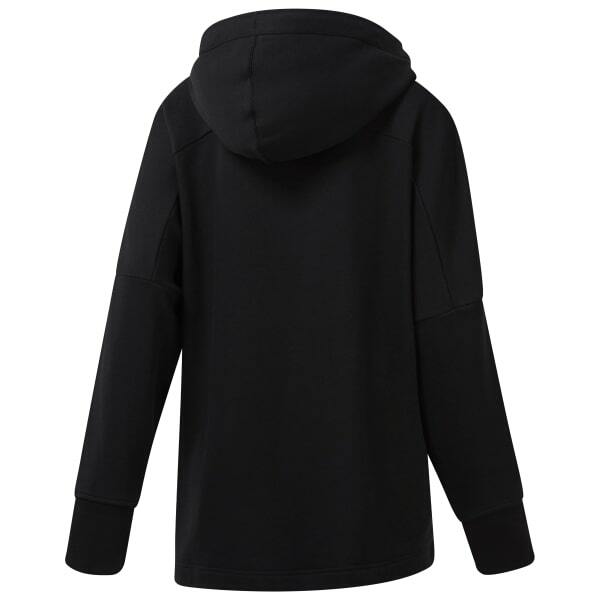 This women's hooded tunic delivers a modern take on the standard pullover. French terry fabric helps makes it soft enough to slip right over a sports bra. Side vents ease over leggings for an effortlessly relaxed look.